It is well known that Scrum is one of the most popular framework of Agile Project Management methodology. 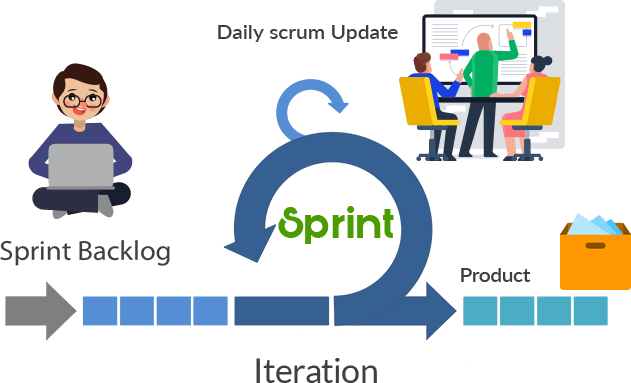 A 2013 survey showed that over 56% of all software development projects which are managed using an agile method are using Scrum. 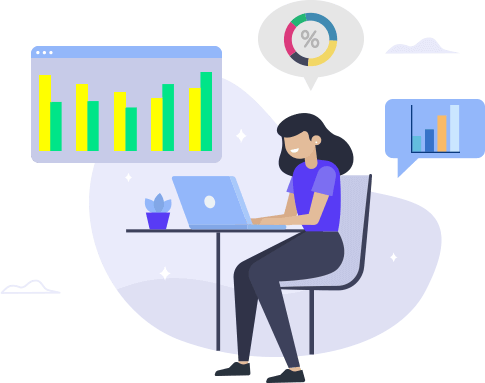 And this percentage of scrum users are increasing for the simple fact that – Scrum is simple, straightforward, and easy to implement compared to other iterative and incremental development methodologies out there. 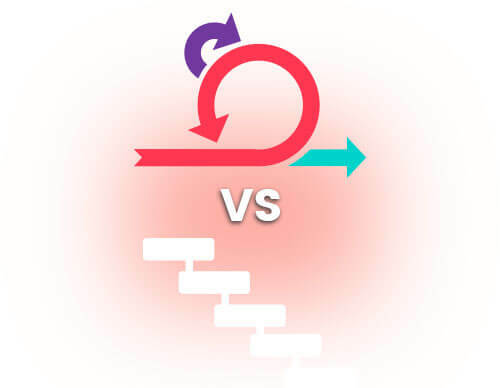 Scrum helps teams address complex adaptive problems, while productively and creatively delivering products of the highest possible value and quality. This is the very reason why we have released the “Scrum” framework of agile project management in OrangeScrum SaaS (Cloud) edition. So, let’s see how you can implement agile project management with OrangeScrum. Before we start, let me explain few scrum terminologies you should know. The Product Owner serves as the liaison between the development team and its customers. The Product Owner is ultimately accountable for managing the product backlog and accepting completed works incrementally. This team member serves as a facilitator. 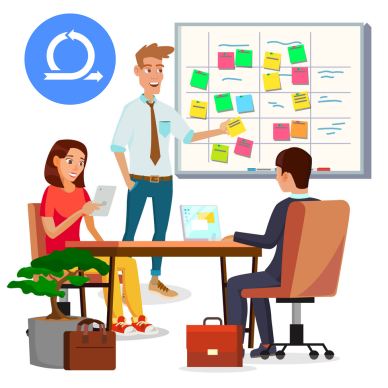 The Scrum master is responsible for ensuring that the team adheres to Scrum theory, practices, and rules and the project is able to move forward. The Scrum Master protects the team by doing anything possible to help the team perform at the highest level. This may include removing impediments, facilitating meetings, and helping the Product Owner groom the backlog. The Development Team is a self-organizing, cross-functional group armed with all the skills to deliver shippable increments at the completion of each sprint. Sprint backlog is a list of tasks that must be completed before selected product backlog items can be delivered. These are divided into time-based user stories. The Scrum board or task board is a useful visual tool which provides an at-a-glance reference for both the Scrum team and stakeholders. It provides a daily reminder of the sprint goal and the work to which the Scrum team has committed. 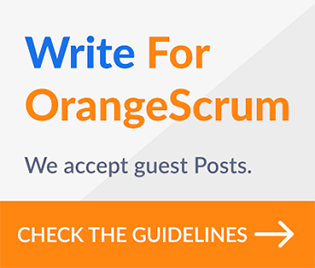 How to create a Sprint in OrangeScrum? Get to know the quick task status of tasks and remaining time in Active sprints. Drag and drop the task to change the status of the task in Kanban. How to start agile project management methodology “Scrum” in OrangeScrum? Navigate to ‘Backlog’ page from the left panel. Click on ‘+Quick Links’ and click on ‘Task’. 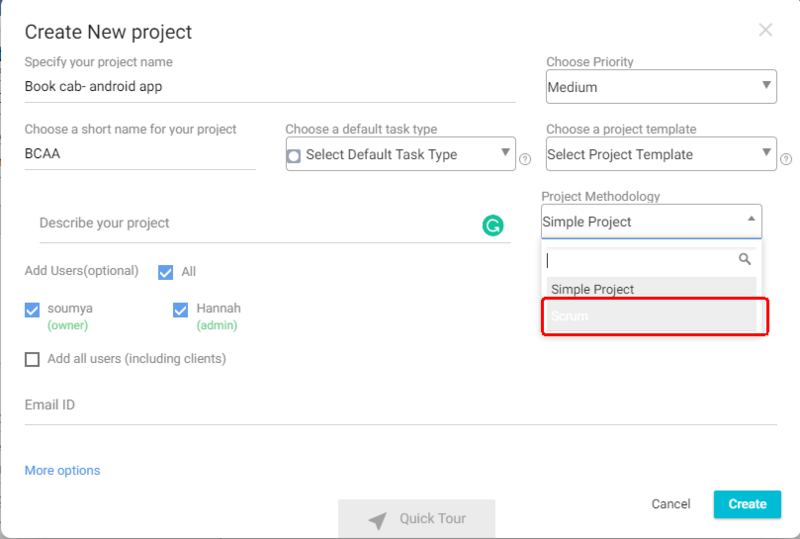 Add Task title, Assignee name, Estimated hours, Task type etc. Select the sprint as ‘Backlog’ and click on ‘Save and Exit’. Click on ‘Create Sprints’ and add the Sprint name and Description. Click on ‘Create’ to add the Sprint. Once you create a Sprint, you need to add tasks from your backlog list. Click on the task. It will take you to task detail pop-up. Click on under Sprint to change the Sprint of a task. Hover to the extreme left on task to get hand image. Click and hold the task to drag and drop it under the required Sprint. Now you have created your sprint, assign proper priority, and to the concern scrum team member to work on your sprint items/tasks. Navigate to ‘Active Sprints’ page from the left panel. By default, the active sprints of last used project will be displayed. Select a particular project from the project drop-down to find the active sprints of the chosen project. Sprint review or daily stand-up meeting can be done on the basis of your Scrum board. Once all your tasks from the Sprints are resolved or completed, you can close a sprint. Click on ‘Complete Sprint’. 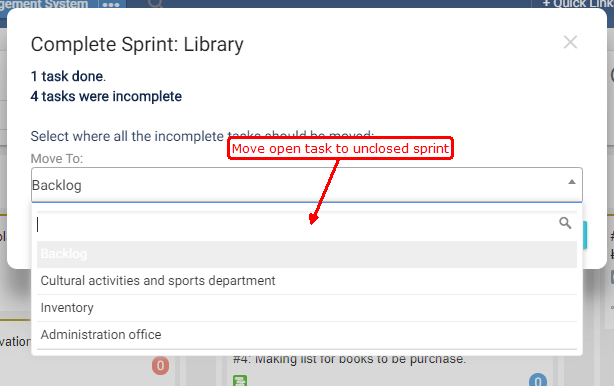 If the sprint has open tasks, it will ask you to move it to other sprints. Select the sprint to which you would like to move the open tasks. 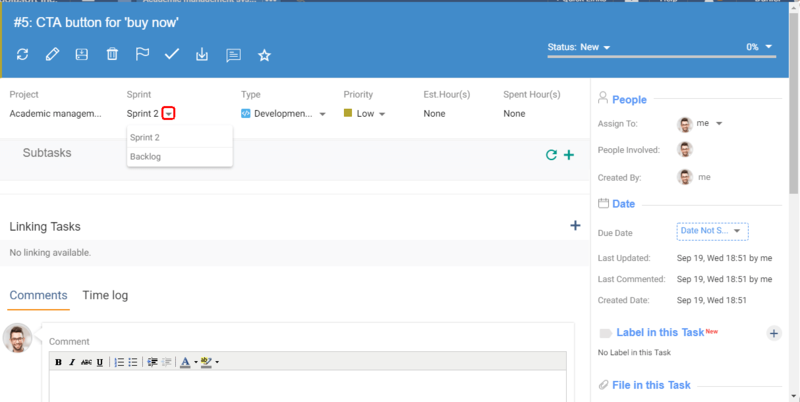 Again from the backlog list, you can create your next sprint. You can see the Sprint reports once you complete a Sprint. Sprint report shows you the details of completed Sprints in the project. In the below image, we can see for project “College management system”, sprint ‘Placement department’ is completed. You can see ‘Meeting with Infosys HR’ and ‘Meeting with Principal for placement’ are the completed task. You cannot close a Sprint with tasks in new or in-progress status. When you try to close a sprint with open tasks, you will be prompted with the count of open tasks along with the list of other open sprints from the project to move all open tasks. In conclusion, Scrum is the most popular agile project management framework because of its simplicity and high performance. It provides a sense of achievement, instant feedback mechanism, and transparent ownership of work done within a team. 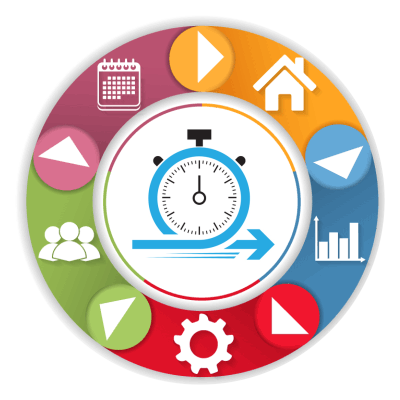 Ready to implement agile project management? Sign up Now.